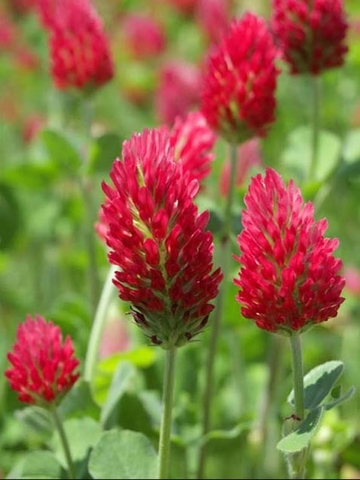 This uprigh annual herb grows to 12 - 18 inch tall, un branched or branched only at the base. The leaves are trifoliate with a long petiole, each leaflet hairy, 8-16 mm across, with a truncated. 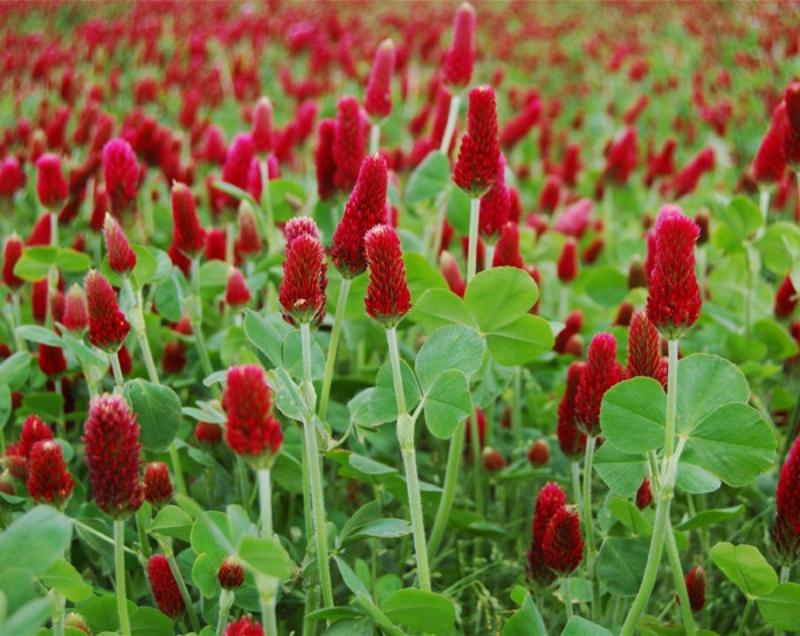 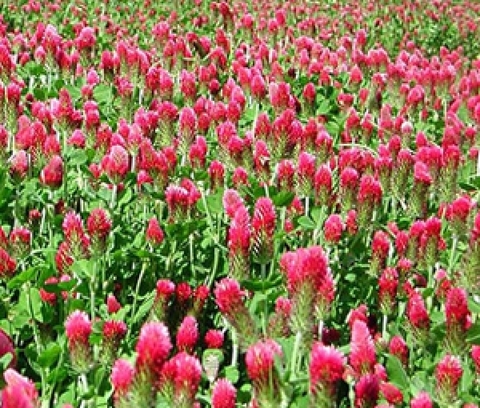 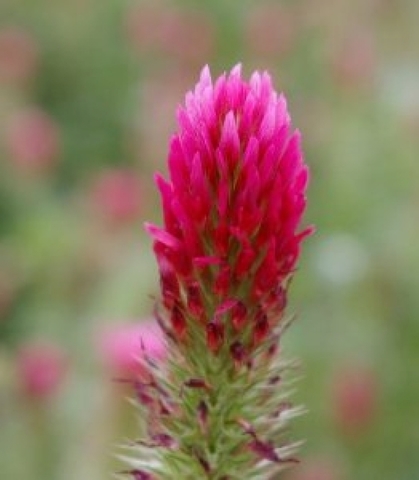 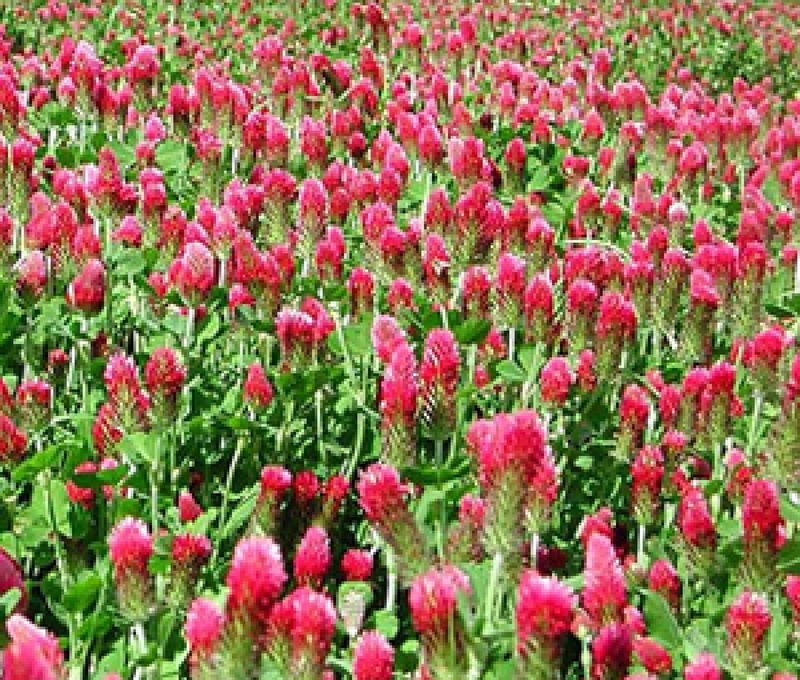 Crimson clover will reward the flower gardener with a sea of bright red flowers if grown in mass.